CALGARY, Alberta, Feb. 4 (UPI) -- Suncor Inc., the premier developer of Canadian oil sands, said production set a record in the fourth quarter with 409,600 barrels of oil per day. Massachusetts motorists will soon be filling their tanks with gas increasingly derived from Canadian tar sands oil, according to a new report from the Natural Resources Defense Council (NRDC). PAGE, Neb. - Cash offers have been skyrocketing, as much as seven-fold, for holdout Nebraska landowners who are willing to sign quickly to allow the Keystone XL pipeline onto their property. 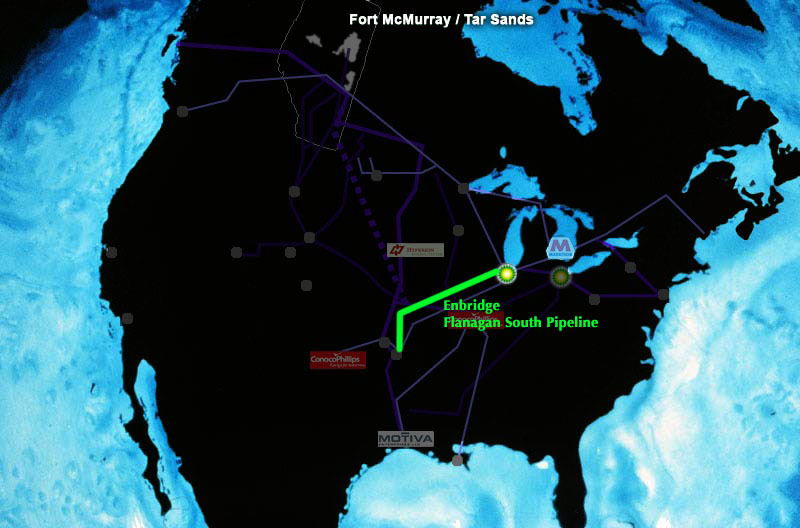 The landowners say they've received written offers from pipeline builder TransCanada Corp. in the last few weeks offering exponentially more money than initially promised, on the condition that they sign soon.